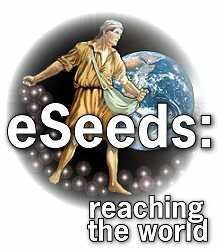 eSeeds For The Garden of Your Heart: Is The Word "Love" A Cover-Up? First, came tears. Then, a few more words about forgetting important things - like birthdays. Then more tears. Not only was I embarrassed, but I was also humiliated that I forgot such an important date and event. Love, God’s love, is the center of every relationship - beginning with loving Him. And when we learn to love Him as He loves us, it will have a preeminent place in our lives. It will be visible to all who know us - especially those in our lives that are special to us. They will be more than a name or number: they will be blest because we love them. We cannot use the word love as a “cover” when we do something wrong - as though we want the other person to feel guilty. True love, God’s love, anticipates a need long before it surfaces. It remembers the needs of others – because we all have similar needs. However, true love - God’s kind of love - reaches out to others as God reaches out to each of us.